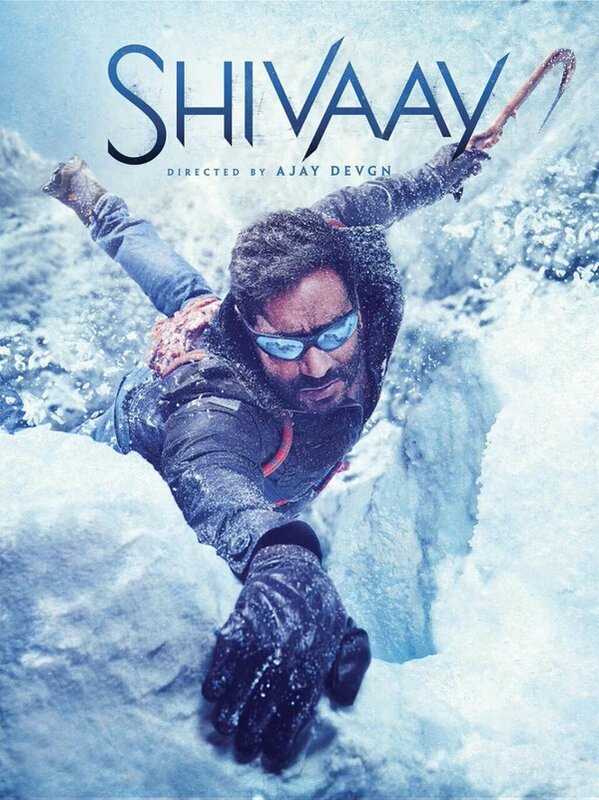 Shivaay is a rare breed of Bollywood flick, which earns the DNQ (Does Not Qualify) rating. Other eminent flicks in this category were Drona, Humshakals, Love Story 2050, Rudraksh, Himmatwala to name a few. After watching the film on Saturday, I got a terrible headache and nausea. Just recovered from Shivaay Hangover and posting the review. Apologies for the delay. 1. This film is inspired from famous Chinese water torture, where victim can't move an inch and water constantly drops from a bucket on your forehead. Tip..Tip...Tip... and this continues for 158 minutes. In case of Chinese water torture, you might still get some variations (smaller/bigger drops, falling a bit left/right). But, the Tip..Tip..Tip of Shivaay is freaking constant and monotonous. 2. I would also like to compare Shivaay with my engineering subject - Metallurgy's question paper. For a 30 marks question, one had to fill 3 pages to justify the marks associated with question. There was a direct correlation with R-square of 0.9. SAD Ji (Sri Ajay Devgn Ji) took that joke way too seriously. He actually took 3 extra sheets to write ploy (not the plot) of Shivaay. 3. Not to forget global outsourcing wave, SAD Ji casted cheapest body shoppers (not actors) from Poland, Bulgaria, Kyrgyzstan and Uzbekistan. None of the actors in Bollywood would have understood the plot and there was a risk of being mocked at. SAD Ji wanted his acting skills to shine out as well. 4. SAD Ji also took inspiration from Tata Nano and wanted to create a film with 1 lakh budget considering his cost cutting maneuvers. Even that extra 'a' in "Shivaay" came from "Devgan" and SAD Ji is now just "Devgn". So much for saving cost! But, most of body shoppers suffered from identity crisis and required regular dose of Saradon and psychiatric assistance. Unfortunately, bills jacked up the budget to 105 Crores. Shivaay is the snow monkey and Raju guide of Himalayas, who performs menial tasks for people coming from grasslands. One Bulgarian tourist was visiting Himalayas on "Offspring tourism" (latest form of tourism after medical tourism). She came - She bred - She offloaded and she returned and what happens in Himalayas, stays in Himalayas. Some Bulgarian thief snatched the baby from snow monkey. Monkey beat the crap out of entire Bulgarian Army-Air force-Police force and comes back victorious. And they lived happily ever after! Direction of SAD Ji would put even Sajid Khan to shame. He plays the role of egomaniac nihilist who can defy gravity, dodge bullets, possess skills of Neo from Matrix and is stronger than Sunny Deol of Gadar. All this without being a super human like "Flying Jatt" or MSG. He killed more policeman in a day than we kill mosquitoes in entire lifetime. He didn't even have to hit people. He just touches them and they fly like 20 feet. Maybe, they forgot to tell in story that 440 V current runs in Shivaay. Unfortunately, there wasn't any hand pump in Himalayas or Bulgaria else SAD Ji would have done a Gadar and uprooted hand pump too. Sayesha Saigal had a blink and miss role in the film. She was supposed to sing "Tujhmein Rab Dikhta Hai" but she ended up singing "Oh I love you daddy" to SAD ji in the end. Actually, that's quite logical given the age gap. Erika Kaar (tourist from Bulgaria) spoke Hindi with an accent that'll put angrez from lagaan to shame. She learnt her Hindi from Tom Alter. Unfortunately, they didn't have sub-titles for her dialogues in theater. She is a great poker player hence her expressions weren't of much help in deciphering what the hell she is talking about. Abhigail Eames (The Offspring) couldn't take Rapidex Hindi speaking classes so SAD ji made her dumb. All the scenes where she is with her father (whom she loves a lot), you'll see her shouting, slapping and kicking him. May be that's how they express love in Bulgaria. Vir Das plays role of Wahab Riyaz and you'll see him shooting in-swingers and out-swingers. Most of which will miss the stumps and human logic with wide margins. There is one more character listed in cast of the film, Bijou Thaangjam. I have no clue which role he played in the film and I have no intentions to watch film again to figure that out. On IMDB, Shivaay has 7.4 ratings because SAD Ji has spread this rumor on Whatsapp and FB that anyone criticizing his film will get nightmares. In the nightmare, you'll see SAD Ji doing aerobics and Badshash singing "Yahi shoonya hai, Yahi Ekai", which translates to "He is the Zero, He is the One. He is the Digital Transformation". So much for binary bits that Badshah tears them into bits and pieces. Verdict: SAD Ji was certain that he won't get filmfare award for this film. But, his actual competition was ADHM and he didn't want to lose "Golden Kela award" to ADHM. With his substantial efforts, I am sure he has sealed that award with an M-seal. Indian Army can use this weapon to torture Pakistani spies and extract crucial information from them. Bolo har har har... Wahi Shoonya hai Wahi Ekai... Jiske man mein basa Shivaaaaay!